Becoming more familiar with AI and the companies using it will help managers discuss AI more intelligently with their teams. Artificial intelligence is strategically important for driving enterprise strategies. Every day, new examples are coming out of new problems being solved and old markets being disrupted by what is collectively called “Artificial Intelligence.” Enterprises that do not have an AI strategy would be wise to start working on one straight away. Unfortunately, managers often lack understanding when it comes to AI and it started with the term itself. Artificial General Intelligence is what people think of and see destroying the world in apocalyptic summer blockbuster movies. AGI refers to giving computers intelligence that (typically) replicates biological intelligence. It is mostly in labs and research projects. If you are looking for algorithms that reduce coding and can solve new problems, that falls into the area of machine learning. This is at the heart of most commercial organization’s enterprise ‘artificial intelligence’ strategies and has great potential. A machine learning platform includes algorithms, development tools, APIs, model deployment and more. Computers are given the opportunity to learn without explicit programming. Innovative startups and big companies like Amazon, Google and Microsoft all make use of machine learning. Deep learning is a subfield of machine learning. It is inspired by the way the brain works and uses artificial neural networks (ANN) but falls way short of AGI. Information passes through these networks, affecting their structure. They can change or “learn” – based on output and input. The learning comes from observing sets of data. 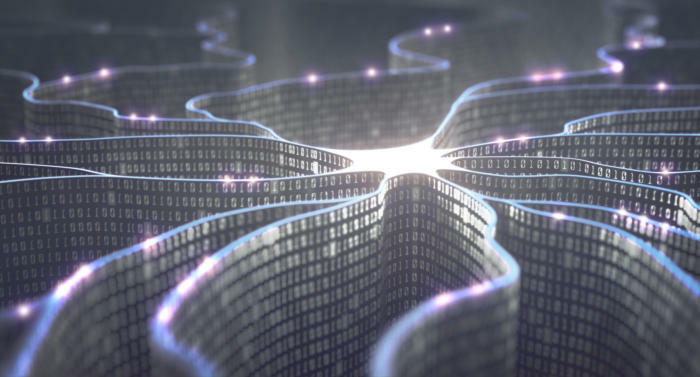 Deep learning is a growing trend in AI, pairing well with large data applications. It helps especially when it comes to recognizing patterns and classification. Deep Instinct, Fluid AI, MathWorks, Ersatz Labs, Sentient Technologies, Peltarion and Saffron Technology are companies to watch. NLP is concerned with interactions between human languages and computers. Computer programs can understand spoken or written a human speech. Software like Amazon’s Alexa, Apple’s Siri, Microsoft’s Cortana and Google Assistant all use NLP to understand and respond to users’ questions. This has been used extensively in service, support and transactions with customers but has massive potential to improve company internal processes. NLG software is used to turn all sorts of data into human readable text. This is an underrated, potentially transformative technology with many applications such as automating business intelligence reports, product descriptions, financial reports, meeting memos and more. The ability to create custom, ad hoc content with incidental incremental cost is more powerful than many realize. The structured data is turned into text at a great speed, written like a human but at a speed of multiple pages a second. Automated Insights is doing very interesting things here. Other players to watch in this market include Lucidworks, Attivio, SAS, Narrative Science, Digital Reasoning, Yseop and Cambridge Semantics. Terms like a virtual agent, virtual assistant and intelligent virtual assistant are often used interchangeably. Some people try to distinguish between them, seeing virtual agents as being deployed to help customers while virtual assistants are more of a kind of online personal assistant. Virtual agents are often represented as computer-generated AI characters that can lead an intelligent conversation with users. It can respond to questions and perform a non-verbal behavior. One of the advantages of virtual agents is that customers can receive help 24/7 and no longer must wait for some call center to open in the morning. Keep an eye open in the future for more sophisticated applications like this in the medical and industrial fields. This is the ability of a program to recognize and analyze spoken language words and phrases and convert them into data. Speech recognition can be applied by an enterprise for call routing, voice dialing, voice search and speech-to-text processing. One of the downsides of speech recognition is that it may not capture words due to variations in pronunciation and background noise. Speech recognition software is increasingly being installed on mobile devices. Companies to watch in the field are Nuance Communications, OpenText, Verint Systems and NICE. This includes appliances with integrated AI, chips and graphics processing units (GPUs). Google has embedded AI into its hardware to establish an end to end control and give it a push it into a future. The impact of integrating AI with hardware goes far beyond consumer applications such as generating entertainment and bringing about the next level of gaming. This is the type of technology that will be used to propel deep learning. Watch companies like Google, IBM, Intel, Nvidia, Allluviate and Cray. Business decision management (BDM), also called enterprise decision management encompasses all aspects of design, building and management of automated systems for decision-making. It is used by organizations to manage interaction with employees, customers and suppliers. The focus is on creating clearer insight and optimizing operational decisions. Traditional management systems are too inflexible and cannot learn and adapt or apply analytics to maximize the value of big data. Decision management improves the process of making decisions by using all the information possible to make better choices, increasing agility, consistency and precision. It takes all time constraints and known risks into account. Organizations dealing with banking, insurance and financial services are integrating software for decision making into their processes and customer services. Automating decisions helps when high volume decision-making is required and enables decisions to become more information-driven, efficient and consistent. Michael Zammuto is the CEO of Cloud Commerce Consulting which focuses on business and technical transformation through artificial intelligence. Zammuto is also co-founder and CEO of Completed.com, an AI and big data professional peer review platform.